Daniel Grushkin presented on "Living Data: Designing at the Fusion of Biology and Data Science" at Data & Society on February 18th, 2016. 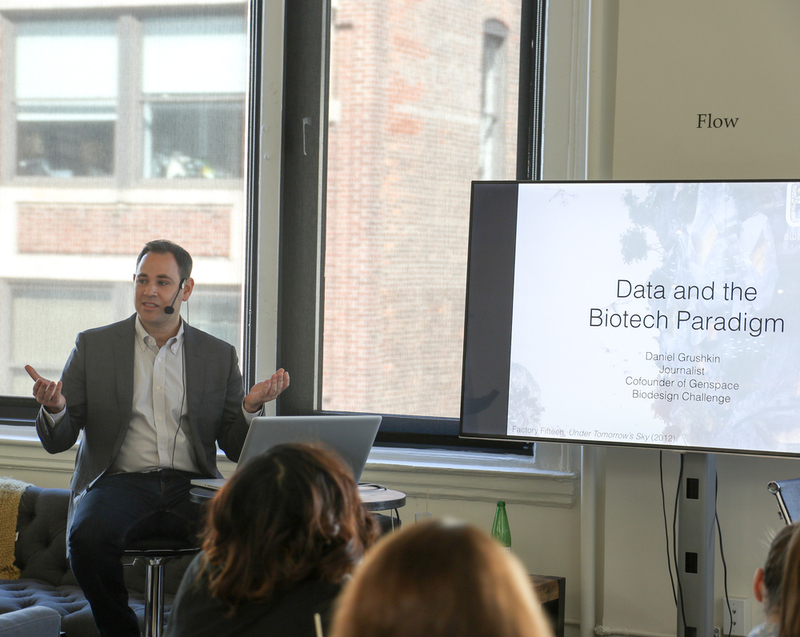 Part talk, part science experiment, and part conversation, in this Databite, Daniel Grushkin explores how contemporary biotechnology melds data and biology, and creates a living medium, whose function in our society is only now emerging. Learn more.